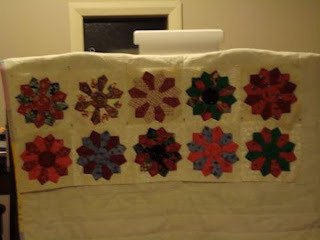 Well yesterday at my quilting club our row by row quilts were returned to us. What a fabulous job everyone did. 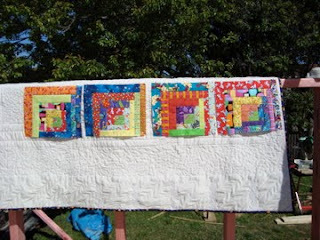 There are going to be some beautiful quilts when they are complete. I was absolutely thrilled with mine. 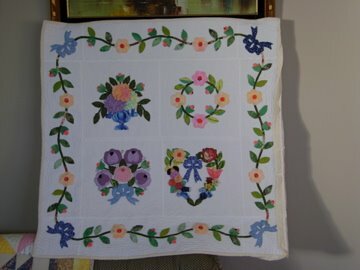 I will show it when I have finished it. 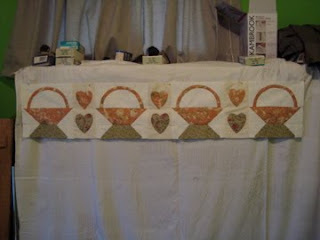 Here are photos of the 5 rows I did for other peoples quilts. This is quite the twist on a row robin. Really neat. 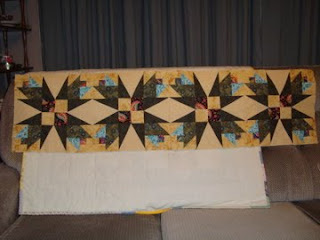 How long did you have to make all the rows? We had a month to do each row. 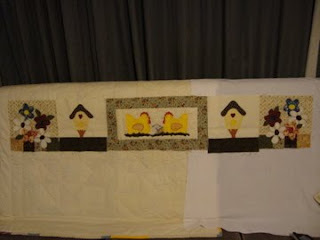 Lynette, this is a brilliant idea to post the rows you made for the others.